What is Needed for Process Automation? In order to make a BPMN model executable, additional information must be added to the model. 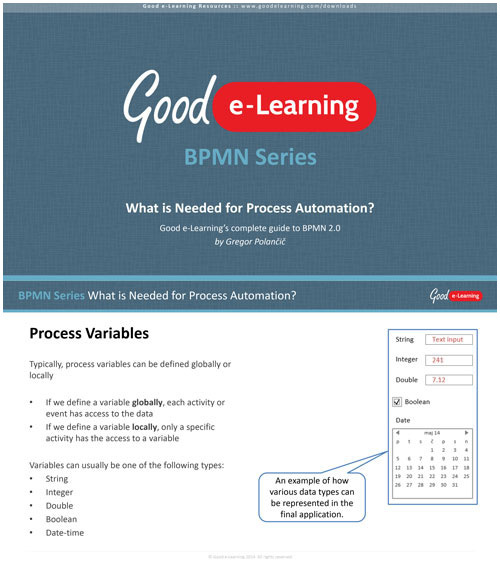 In this latest installment of Good e-Learning's complete guide to BPMN 2.0, we'll cover all the elements that are needed for process automation including process variables, tasks, gateways, events & messages.